Raffini Jewellers are experts at creating custom made jewellery, including beautiful diamond bracelets and stylish silver bangles. All bracelets and bangles can be made with Silver, White Gold or Yellow Gold. 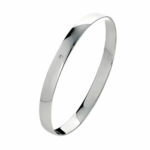 Simple silver bangles are very popular and can be engraved, making them special gifts for any occasion. Bangles can also be embellished with tiny diamonds to enhance their appearance and sentimental value when given as a gift for a special someone. More intricate bracelets made with pink diamonds and other coloured gemstones are also a specialty at Raffini Jewellers. The timeless tennis bracelet, for example, features a multitude of diamonds or other gemstones and makes a lavish addition to your jewellery collection. All of our jewellery is custom made allowing you have a say in the design. You may have an image or idea of your favoured bangle or bracelet. Discuss your ideas with Raffini Jewellers, who will advise you of what options are available to achieve your ideal bangle or bracelet. 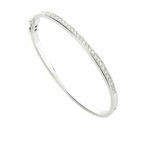 If you require some inspiration, view our beautiful Gold and Silver bracelets and bangles on our website. Whether it is for yourself or a gift for somebody special, Raffini Jewellers can create beautiful bracelets and bangles to suit all budgets. At Raffini Jewellers we are confident you will be impressed with our high quality product at competitive prices, delivered with high level expertise and friendly service.